We had a great associate who assisted us in trading our 2015 Sonata for a 2019 Sonata. We had only brought the 2015 in for recall work but after we spoke with our associate, he was able to get us a low paymemt and made an offer we couldnt turn down so we took it. I couldnt have asked for a better experience. 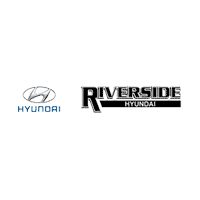 If you're in the market for a new car, go to Riverside Auto, they will treat you right!!! Great service,great staff,5days without car, no loaners available was difficult! Everyone was very nice and quick on my car process. Thanks! Sales: We have had two great buying experiences here. Low-key, accomodating and patient salespeople. I'll readily trade here again!Service: We had our new Santa Fe only 5 days before encountering a big-rig tread on I-75, damaging the front driver's side. When we made it back to the dealership, though they were extremely busy and close to closing time, they graciously took time to check it over, assess the damage, and assure us that it's safe to drive until repairs can be made. MUCH APPRECIATED! Dustin made our experience very pleasurable! He expedited the buying process so we were in and out quickly. I highly recommend Riverside Chevrolet! Courteous service. Treated with respect.